Another solar financing/installation company is about to go public. And if history serves as any indicator, this could be yet another opportunity to land some pretty solid gains. As reported in the Wall Street Journal, Sunrun, Inc. is set work with banks including Credit Suisse Group AG and Goldman Sachs Group Inc. on an IPO. No final price has be set at this time, but currently the company is valued at more than $1.3 billion, which puts it roughly in the same box with Vivint Solar (NYSE: VSLR). The fastest horse in this race right now is SolarCity (NASDAQ: SCTY), which is valued at just under $5 billion. 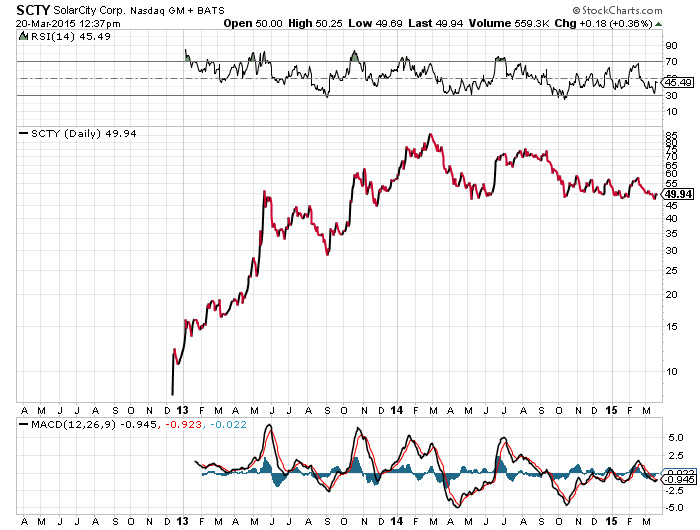 SolarCity is currently taking on a very aggressive growth strategy, and with this growth has come growing pains which have resulted in a sizable sell-off since last September. 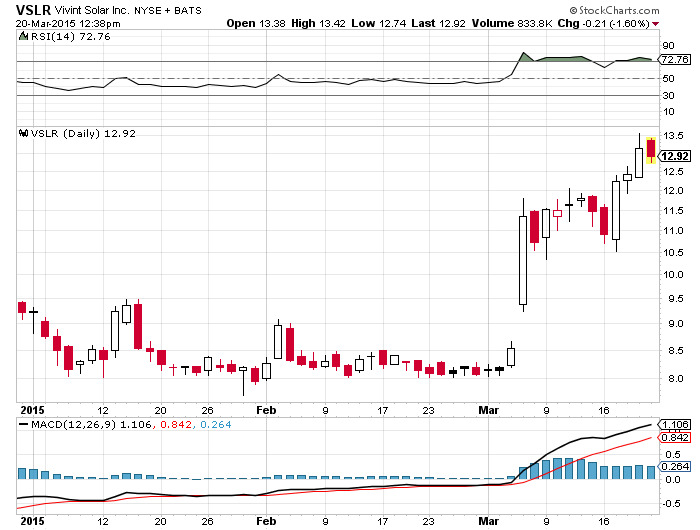 Still, overall I like SolarCity and believe it's a force that will continue to eat up market share. But for investors, 2015 is going to be a bumpy ride. Now Vivint Solar has only been public for about six months. After the initial enthusiasm of its debut, the stock fell a bit and found support around the $8.00 level. However, since the start of the year, the stock is up about 40%. Vivint Solar is also a force and should not be taken lightly. Of course, Sunrun is no slouch either. Solar installation and financing companies aren't typically valued at more than $1 billion. The company has been in the game since 2007, has more than 60,000 customers, and is in the right business, as residential solar installation is expected to grow by 50% this year. I will be curious to see how they price this thing, though. With so many investors so incredibly giddy over solar again, I won't be surprised if Sunrun gets a rather large price tag attached to it. In which case, I'll happily wait for the sell-off and scoop up a few shares after the smoke has cleared. Enjoy this article? Get even more in our FREE newsletter! Sign up to receive the Wealth Daily newsletter - it's absolutely free! In each issue, you'll get our best investment research, designed to help you build a lifetime of wealth, minus the risk. Plus, by signing up, you'll instantly receive our new report: Marijuana Outlook: The Best Stocks to Buy for 2016. After getting your report, you’ll begin receiving the Green Chip Stocks e-Letter, delivered to your inbox daily. With or without government subsidies, wind power is booming. Energy and Capital editor Alex Martinelli explains what a yield company is and outlines possible renewable investments. The most lucrative solar market is not in the U.S.